Day 361: Skream – Skream! Remember when dubstep was good? Well, I sure don’t. Yeah, I’ve jumped pretty hard on the d-step hate train, and I’m often the first to call out the stuff as repetitive, derivative, soulless garbage. That may not be entirely fair, though. Before dubstep found a large following amongst frat boys, it supposedly had some substance. I’ve even been told that there’s still good dubstep being made, once you manage to get past the wubs on wubs on wubs. My hate of modern dubstep—dubbed “brostep” by haters such as myself—has led me on a search for the real thing. 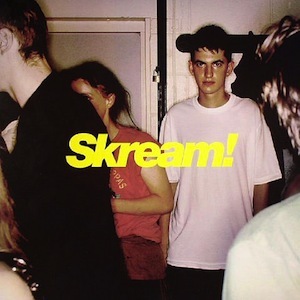 I’ve been directed to Skream’s 2006 self-titled record. While it may only be six years old, this album is already an old man in the world of electronic music. This record’s release date may have something to do with its sound—you won’t find any “filthy drops,” or a whole lot of bass-filled wubbing (there’s still a little bit) on this ancient LP. Instead, you’ll hear some well-timed reggae samples, laid-back but aggressive beats, and a whole lot of long tracks. You’ll probably notice that the average track length is around 5 minutes, with plenty exceeding that mark by a long shot. As trivial as that fact may seem, it seems to make a huge difference in the enjoyability of this music. A rhythm change is all the more powerful when it’s built up, hinted at, and drawn out for minutes at a time, rather than just launched at your face.